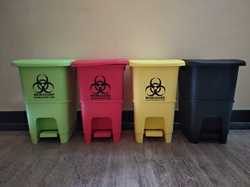 Wholesale Trader of a wide range of products which include biomedical waste bins, wheeled dustbin, pole hanging dustbin, hospital dustbins, color coded dustbins and garbage dustbin. 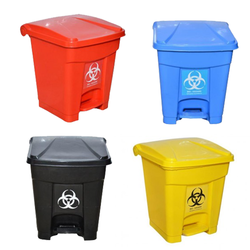 We are a noteworthy organization, engaged in offering an excellent quality range of Hospital Dustbins. 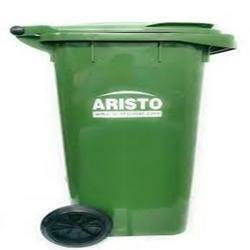 Attainable in a several ranges of sizes, these dustbins are widely required in hotels, offices, shopping complex and multistory buildings. Easy to clean and sturdy in construction, the provided range is handed over in standardized packaging, so as to avoid damages. Size: 18, 20, 35 Liters. price mentioned is that of 18 liters. 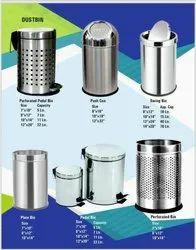 We are the leading supplier of a wide range of Hanging Dustbin(Pole / Wall Mounting). 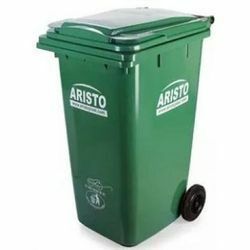 Suitable for mounting on poles / pillars, walls and other customized spaces, this bin will be easier to access as it can be mounted to suit standing heights. 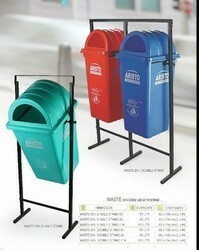 In addition, our products are designed to with stand impact and load and can be accessible in various sizes and colors. Size: 16, 32 Liters. price mentioned is that of 16 liters. 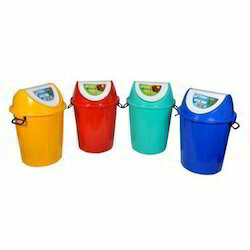 Stainless Steel Trio Dustbin with Swinging Lid. 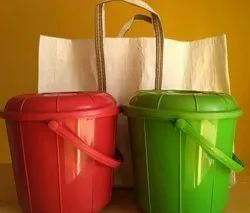 Looking for Garbage Dustbins ?